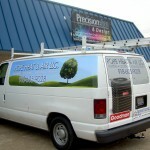 Partial vehicle wraps offer one of the best values in mobile advertising. 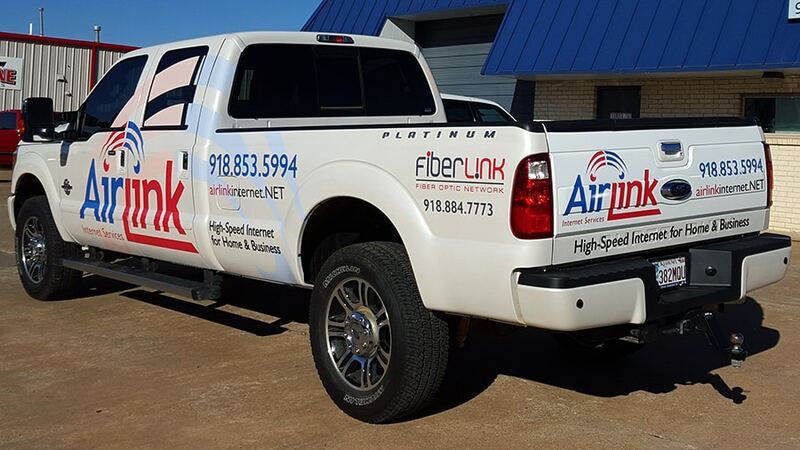 They have a large visual impact for less than the cost of a full wrap but are more eye-catching than a standard cut vinyl graphics package. 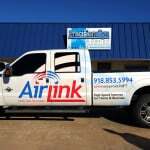 Precision Sign & Design can work with your advertising goals and budget to custom create graphics package for your company. 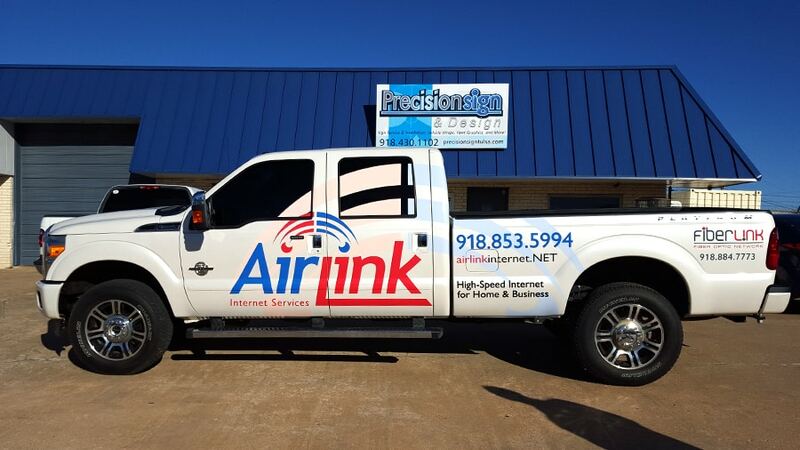 Give us a call today at 918-430-1102 to find out more about mobile advertising graphics for your company vehicle. 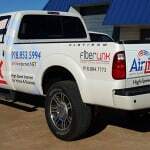 This entry was posted in Uncategorized and tagged Branding Commerical Vehicles, Commerical Vehicle Graphics, Fleet Graphic, Vehicle Wrap on May 8, 2016 by precision_sign. 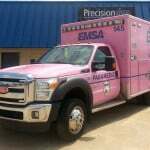 Breast cancer awareness is an issue that has touched many lives. 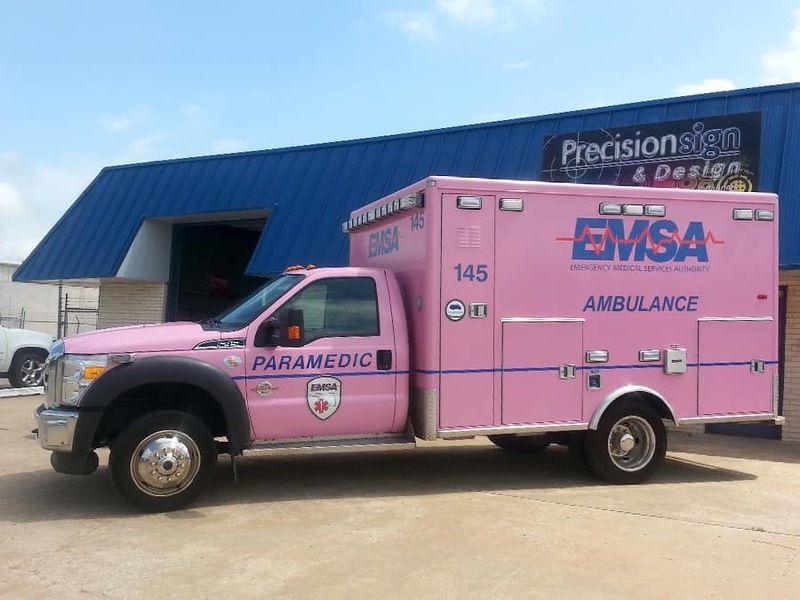 Ambulance, fire, and police departments make use of the signature pink color to help raise awareness for the cause. 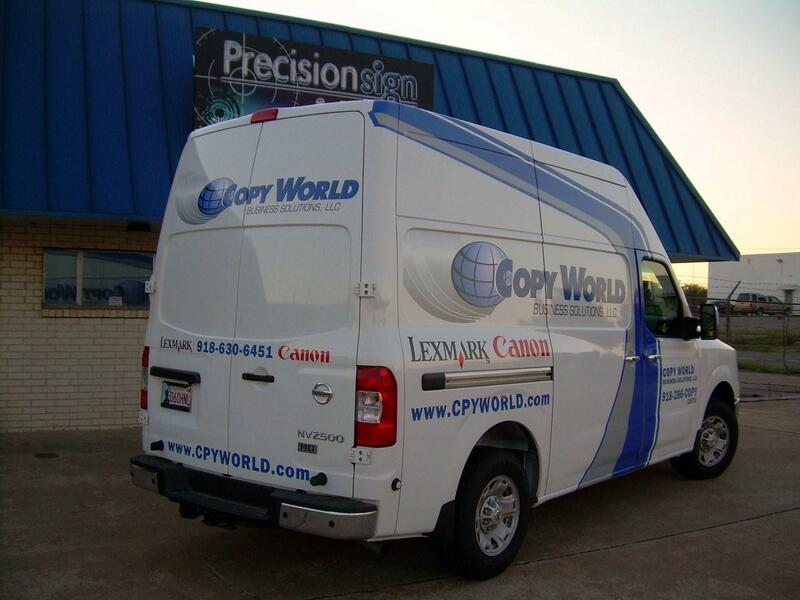 This wrap was done with 3M IJ180cV3 and 3M 8519 luster laminate. 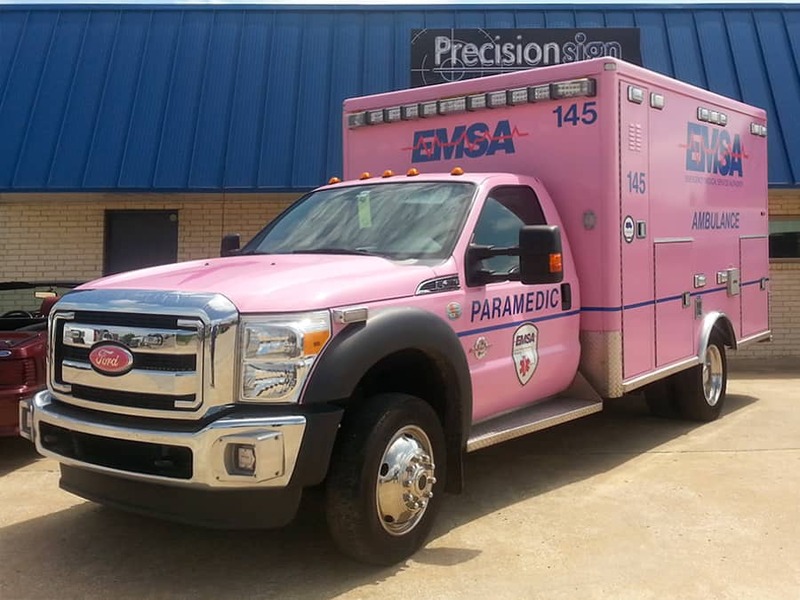 This combined with first line Roland inks (no generic inks) create a vehicle wrap that both looks great and will last for many years. 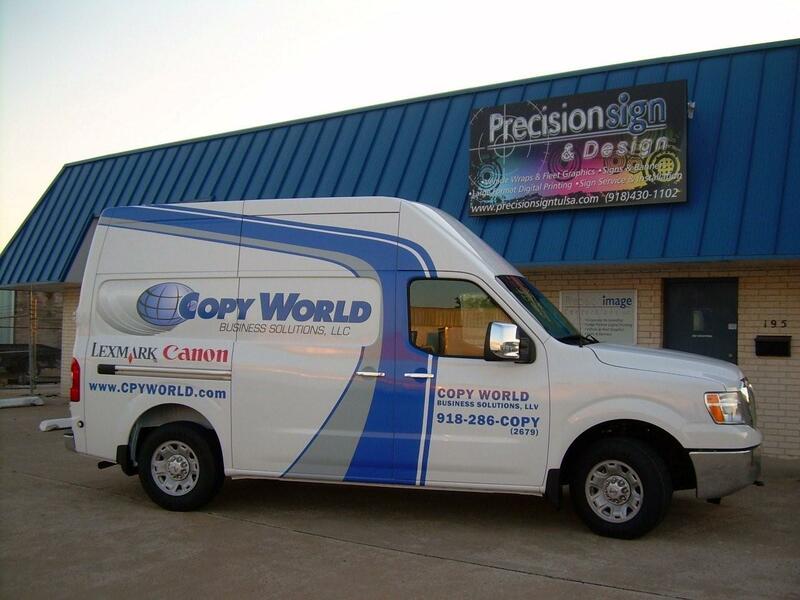 All our vehicle wraps come with a one year installation warranty and a three year materials warranty. 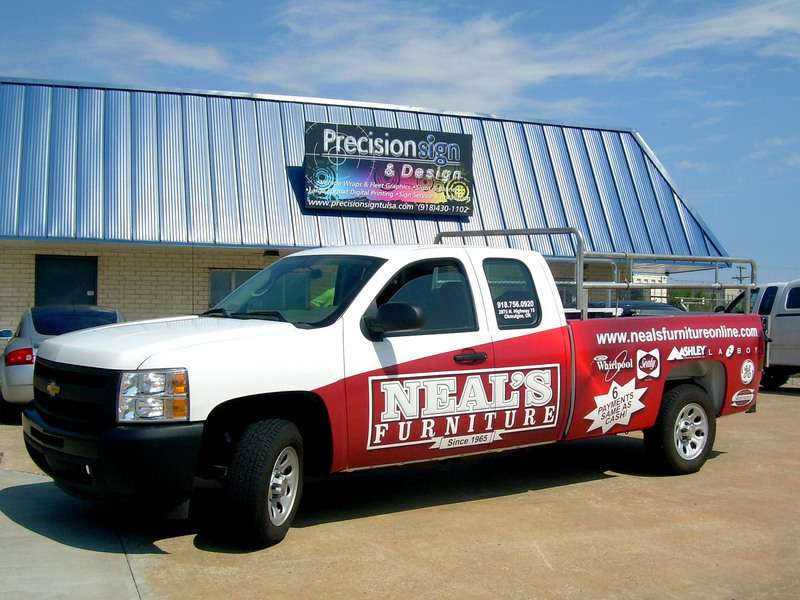 If you’d like to find out more about full color change wraps or more traditional commercial vehicle wraps, give Precision Sign & Design a call today at 918-430-1102. 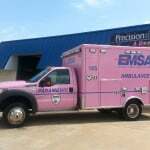 This entry was posted in Uncategorized and tagged Ambulance Wrap, Breast Cancer, EMSA, Pink Ambulance Wrap on September 18, 2015 by precision_sign. 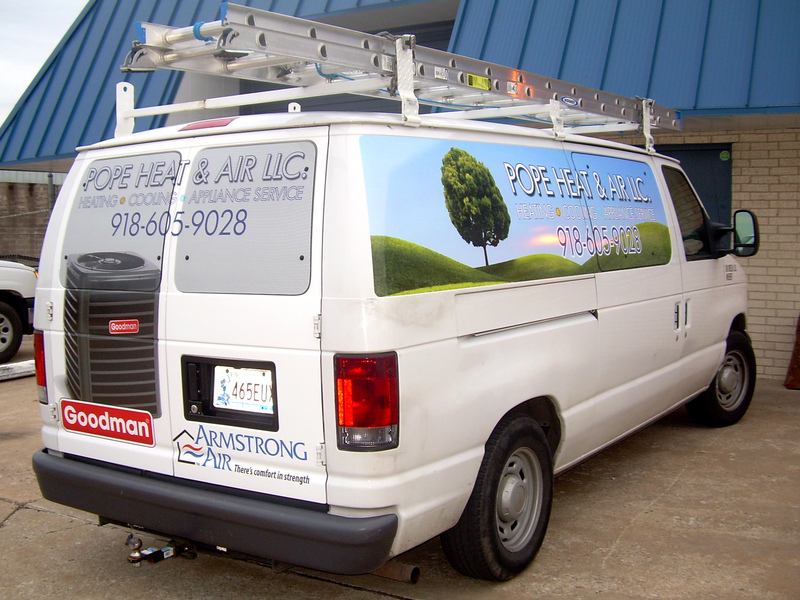 Van’s offer a lot of usable space to advertise your business. You can often get a lot of impact without using all that space, though. 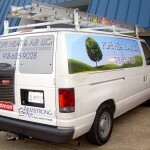 The nice clean graphics on the side and back of this van communicate this company quickly without wrapping the entire van. 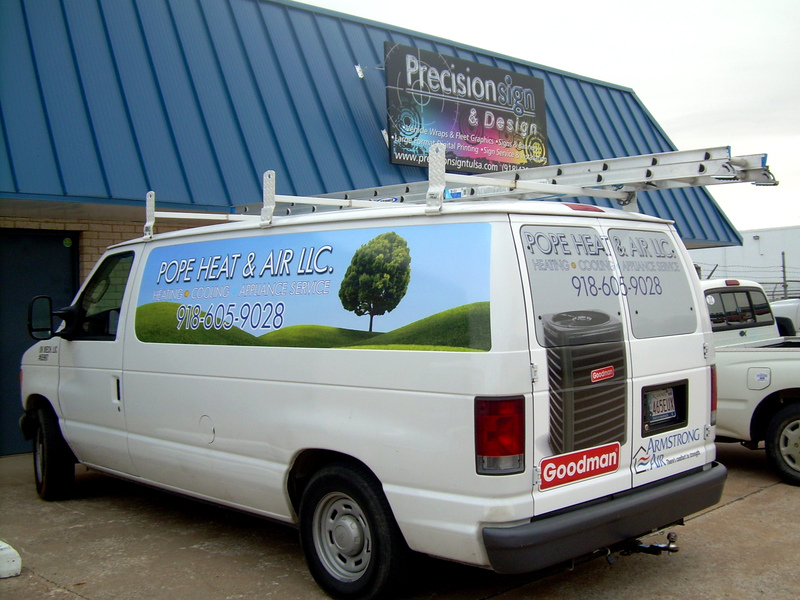 We can put together a great graphics package whether you want to wrap your entire vehicle or just a portion of it. This entry was posted in Uncategorized on December 20, 2011 by psd_dev. Another ship in job from 3M. They love us. 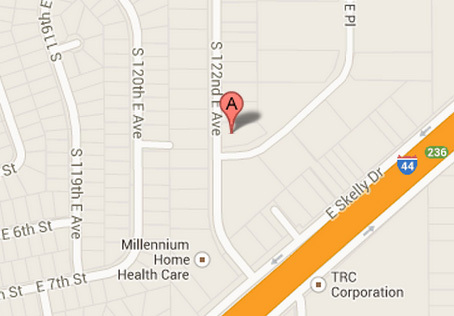 We keep our lead times short and move our projects through quickly. 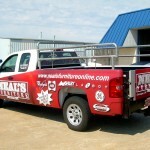 If you need a wrap installed anywhere near Tulsa, CALL US!!! This entry was posted in Uncategorized on September 28, 2011 by psd_dev. 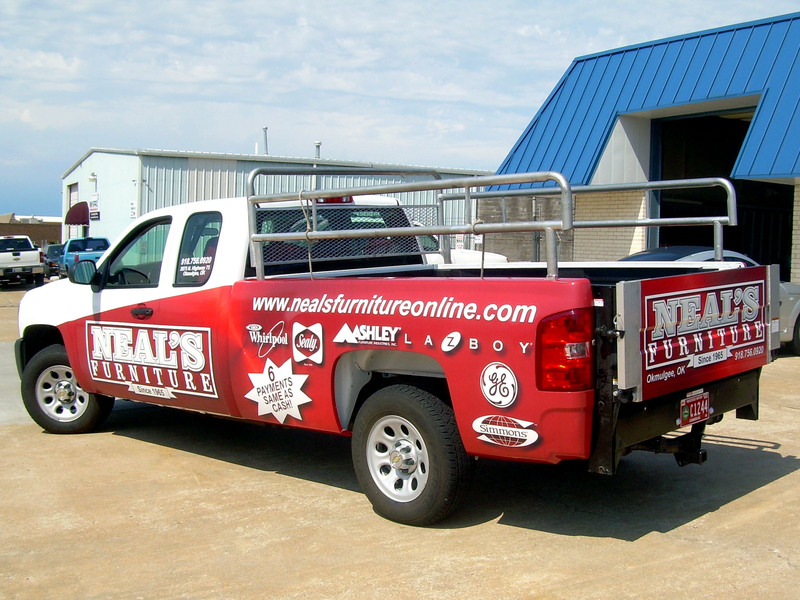 Another great partial truck wrap for Neal’s Furniture! 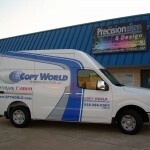 Partial vehicle wraps are a great way to have a lot of visual impact without all the costs of a full wrap. 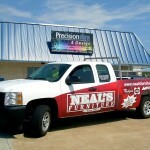 Contact Precision Sign & Design today for a creative solution to your mobile advertising needs. 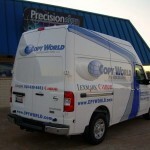 This entry was posted in Company News, Uncategorized, Vehicle Wraps on August 17, 2011 by psd_dev.